I have added Photo Galleries to the web site. This has allowed me to add hundreds of new photos of my artwork. I recommend going to Photo Galleries to view the latest pictures. Click on the thumbnail photo to enlarge it. Click your BACK button to return to this page. I get quite a few requests for different types of flowers. I will be loading more flower pictures to this page as I find them. 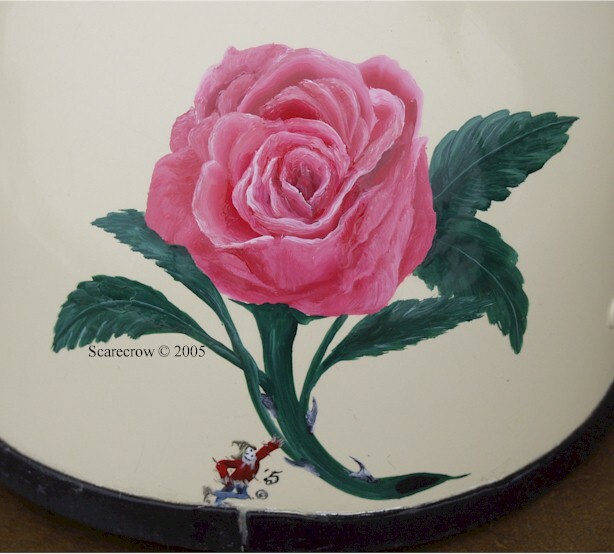 This pink rose is painted on a helmet. 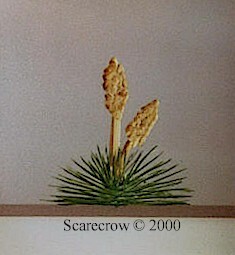 Copyright © 1998-2019 Scarecrow Art Studio. All rights reserved. 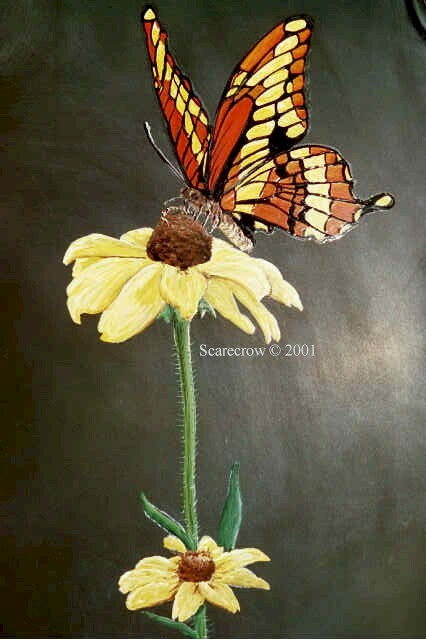 All photographs and designs on these pages are the property of Scarecrow Art Studio. They are protected by US and International copyright laws. Unauthorized reproduction is strictly prohibited! 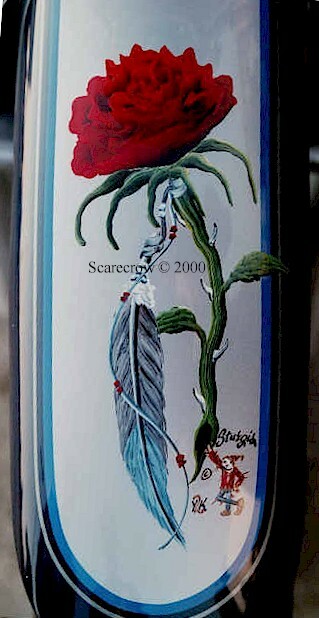 Scarecrow is a trademark of Scarecrow Productions & Scarecrow Art Studio.